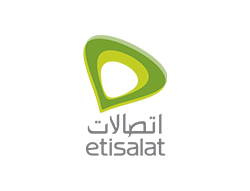 Etisalat – Corporate Profile Etisalat is one of the world’s leading telecom groups in emerging markets. Headquartered in Abu Dhabi, Etisalat was established four decades ago in the UAE as the country’s first telecommunications service provider. An international blue-chip organization, Etisalat provides innovative solutions and services to 163 million subscribers in 17 countries across the Middle East, Asia and Africa. Etisalat’s mission is to provide a best-in-class total customer experience for retail and business, deliver attractive returns to shareholders while investing in the long-term future of the company, and supporting economic development in all the markets it operates in. Aspiring to be the most admired telecom group in emerging markets, Etisalat strives to consistently foster innovation and deliver first-in-market technologies wherever it operates. This is evidenced by its many technological firsts and successes in the UAE and across its markets. In the UAE, Etisalat currently has the widest coverage of 3G and 4G mobile technologies. 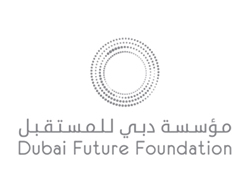 The telco has established an extensive Fiber-To-The-Home (FTTH) network, making the UAE rank as one of the most fibre-connected countries in the world. Etisalat has conducted expeditionary trials of 5G services in the UAE – the first-ever in the region – including coordinating the development, design and deployment of future ICT platforms for fifth generation mobile broadband. Such diverse technological expertise has helped Etisalat capture significant market share as it expands across Africa, Asia and the Middle East, most notably in Egypt and Saudi Arabia, where the introduction of mobile broadband services, including video call and mobile television, has changed market dynamics and provided affordable mobile internet access for millions of people. Etisalat’s performance and services have been widely recognized by the industry. It has won many major awards, including the prestigious annual GSMA’s Global Mobile Awards for the past four years.